The story of a young Mum’s experience with Alopecia Areata Hair Loss and her journey to and through Hair Loss Treatments. Dee, a 27 year old mum of two was concerned about bald patches that had appeared 8 month earlier that were getting worse. Just like most mums Dee was putting herself last, was feeling run down, had been diagnosed with an iron deficiency and in general was not feeling good and had little energy. Her mother’s instinct kept her going and she pushed the bald patches to the back of her mind and life hidden by different hairstyling. It was only when Dee’s mum who lives overseas came to visit that she came to realize being a good mum includes looking after yourself too… So with the support of her husband she went with her mum to see Trichologist Carolyn Evans-Frost at Absolique Hair Health Clinic for a diagnosis of her hair loss. The combination of problems found are common and can happen gradually, over time and are not noticed until something else goes wrong like Alopecia Areata with the noticeable bald patch or patches. Alopecia Areata (AA) is an Autoimmune problem where the immune system attacks certain androgen hair follicles resulting in a bald patch or patches of hair loss. 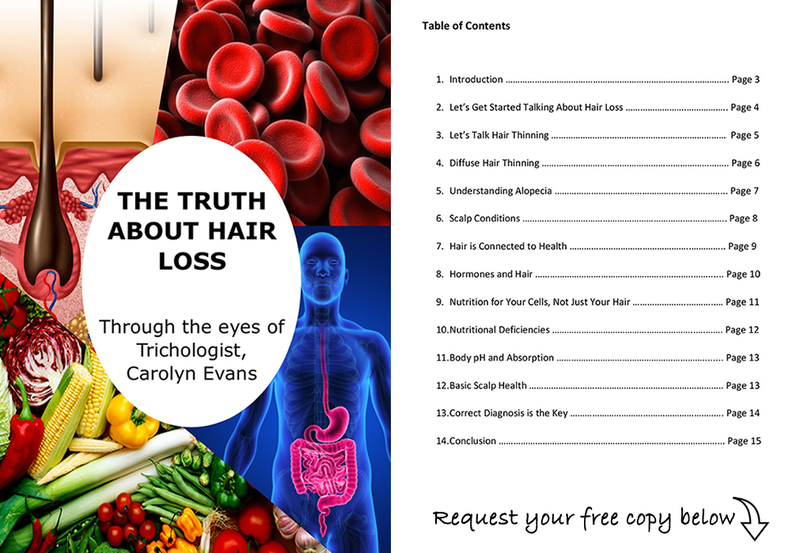 There is normally a traceable event or period of low immunity leading up to the occurrence of Alopecia Areata as was in Dee’s case with her iron deficiency. Also noted Dee had been through Post Pregnancy Diffuse Hair Loss (Post Partum Alopecia) twice which can expose the early onset of Female Pattern Thinning. Dee was supported by her family to commit to Hair Loss Treatments designed for her individual hair loss problems. She diligently followed to the Hair Loss Treatments program set out for her and recovered from all of her hair loss, scalp and hair problems. 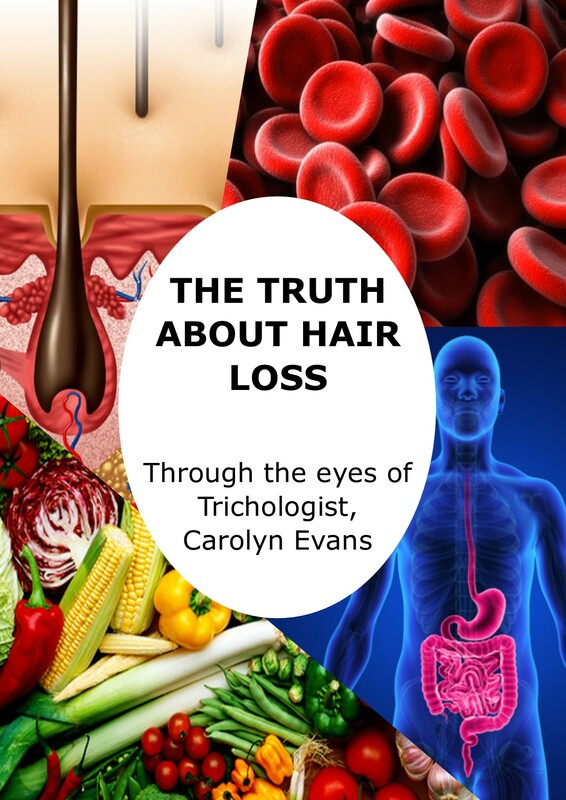 For more information contact Trichologist Carolyn Evans-Frost at Absolique Hair Health Clinic (07) 3229 3242 (07) 3229 3242.